A photometer can be defined as an instrument for measuring visible light. Luminance and illuminance meters are the most common photometers and are easily available as turnkey solutions. However, there are quite a number of photometers to choose from, ranging from hundred dollars to a few thousand dollars, all capable of performing similar measurement. If you are not familiar with the performance criteria of photometer you may feel pretty overwhelmed by the abundance of product information and specifications. Hence, it is important that we recognize the classification of photometers by their performance according to international standard bodies, such as DIN and JIS. Nine performance criteria are specified to ensure the required performance according to each classification as shown in Table-1. Fifteen performance criteria are specified to ensure the required performance according to each classification as shown in Table-1. 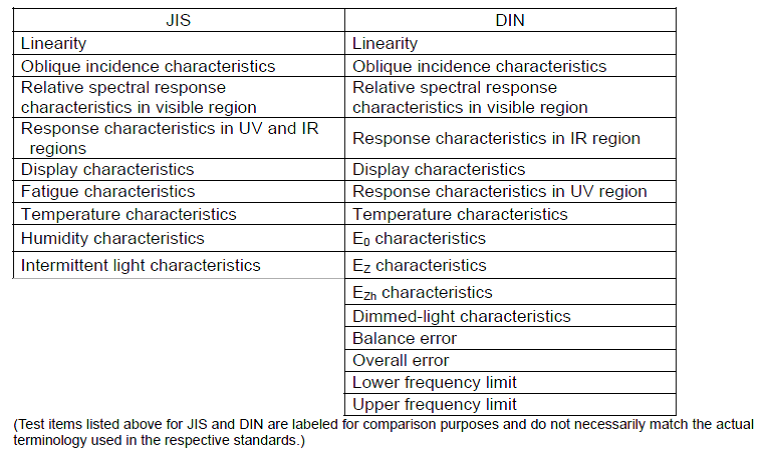 The following table (Table-2) shows the comparison between the two standards in term of its classification. Konica Minolta Illuminance Spectrophotometer CL-500A conforms to the illuminance meter requirements for General Class AA of JIS C 1609-1: 2006 and Class B of DIN 5032 Part 7. 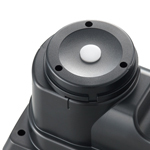 It is the world’s first compact, lightweight, display-equipped illuminance spectrophotometer to meet both JIS and DIN standards (as of January 2012). Please click here for more information on CL-500A. Alternatively, you can also contact us at 6563 5533 or click here for a free consultation with our application specialists.